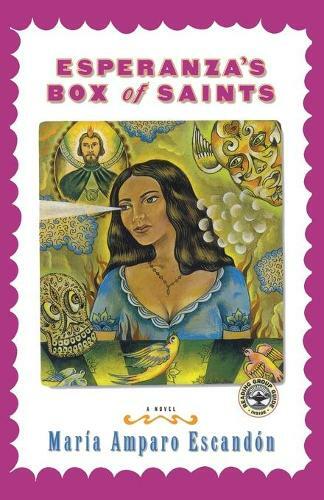 "Esperanza's Box of Saints" is a magical, humorous, and passion-filled odyssey about a beautiful young widow's search for her missing child - a mission that takes her from a humble Mexican village to the rowdy brothels of Tijuana and a rarely seen side of Los Angeles. Rescued from turmoil by her favorite saint, Esperanza embarks on a journey that tests her faith, teaches her the ways of the world, and transforms her from a fervently religious innocent to an independent, sexual, and passionately devout woman. Laura Esquivel Esperanza's Box of Saints fills our souls with colors and flavors, but more importantly with a sense of genuine, heartfelt candor, born from true faith. With a smile on our face and a pang in our heart, we find renewed hope in Esperanza's quest. Jorge Ramos anchor, Univision Network A fascinating world where the mystical and the mundane collide...funny, offbeat, and bold...definitely a new landmark in Latin American literature.